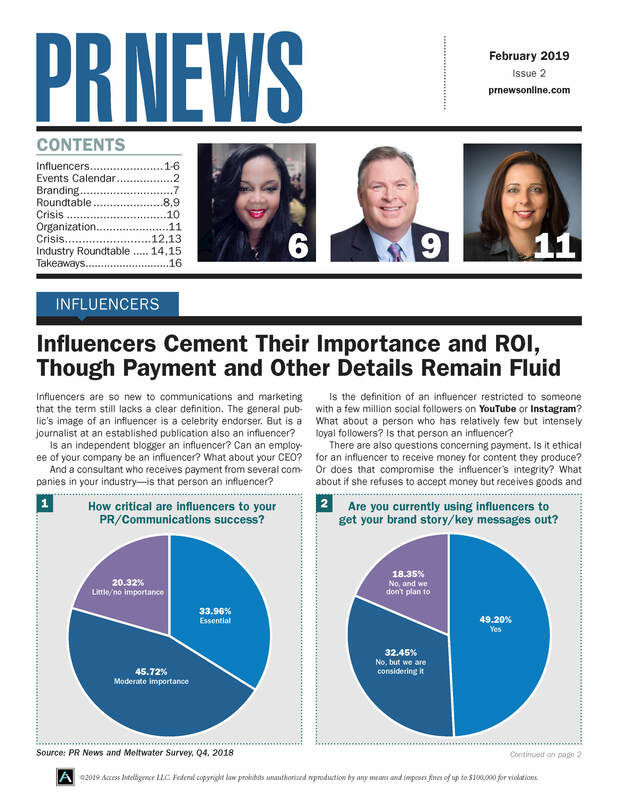 Maintaining valid influencer relationships for your brand will only continue to be a crucial media relations strategy in 2019. But in this time of bots and paid followers on social, what’s the best way to make sure those relationships are on the level? How do you know you’re working with an influencer whose digital persona, and engaged followers, are legit? While it’s tempting to call 2019 the year of trust, we’ll have to wait and see. Still, those who make sure that trust and transparency is at the core of their brand identity will likely see many happy returns. To that end, Google started the year off by announcing two features—one that just launched and one that’s rolling out in July—intended to help repair trust and improve the experience for end users. As it turns out, they’re both tremendously valuable tools for communicators, too. Not long ago, communicators outside the tech industry tended to ignore CES, the country’s largest trade event. The new reality, where every device is connected, blurs the distinction between consumer and business technologies. This new reality and has made CES an important event for all communicators. Here are 10 terms that can make communicators sound smart when discussing how using a cryptocurrency might help their businesses. Pandora, the largest streaming music provider in the U.S., published a list of the most notable instances when users added songs to their personal Pandora stations around specific events, showing just how strongly audiences associate music with milestones. Brands are still learning how to assess positives and risks when working with influencers. In light of this report, however, new questions emerge: How do brands protect themselves by properly vetting influencers, and what do they do when someone is falsely posing as a legitimate brand influencer? We’ve all been there. You click on a product, perhaps even buy it. And then ads for that product and similar ones chase you around the internet. Things are particularly bad when these targeted, programmatic ads follow people who are grieving. That’s a position no brand wants to find itself in. Here’s what communicators need to know in such cases.